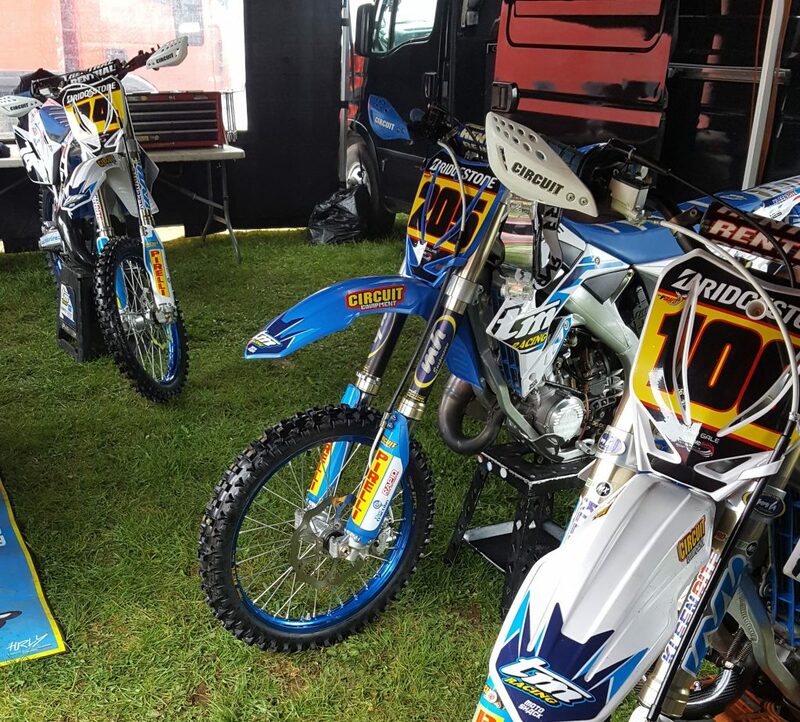 After having to cancel round one due to our inclement weather, round 2 became round 1 of the British Masters this past weekend which took place at the Culham circuit in Oxfordshire. Luckily the rain stayed at bay this weekend, but it remained overcast and fresh. In the TM UK tent this weekend it was a full ‘TM Racing MX 125 2S’ line-up, with Troy Willerton and Liam Gale in the 125 Championship and Billy Collins in the Youth. After the horrendous crash at the British MX GP 2 weeks ago, Troy Willerton came out the blocks in determined fashion. Having been off the bike for a couple of weeks recovering and never even riding the bike he used this weekend until Saturday morning, alongside hurting somewhat, Troy put together a great weekend. Taking the pole in qualifying and then going 1 / 4 / 1 / 2 over the 4 scheduled races, Troy took a well-deserved second overall the for the weekend, against a wildcard rider, therefore he currently leads the championship standings. Liam Gale showed some great speed taking 9th in qualifying and made some great starts over the 4 heats. However, Liam had some challenges to overcome in each race, a small mechanical problem in race one, followed by a series of small falls in the following races left him with work to do. Liam battled on in all 4 races to end his weekend with a 12 / 25 / 18 / 11 scorecard, ending his weekend with the best race result as he settled down a little more each time out. Taking 15th overall (wildcards included) was a great first time out for Liam in this national event and for sure we can progress together and build at the next rounds. Young Billy ‘Factory’ Collins had a hard weekend but battled on like a champion throughout. Having been off the bike with an injury for a few months, alongside zero race time under his belt this year, it was a big challenge this weekend for Billy. After taking 15th in the qualifying session, Billy had some good starts in the ‘mixed machine’ class and went on to end his weekend with a 15 / 19 / 24 / 25 scorecard for 20th overall. The lack of bike time took its toll on Billy but he fought in each and every race, a determined effort and great commitment to keep charging to the flag left young ‘Factory’ exhausted. Big applause young man. A big well done to all the riders, who each had their own injuries and issues to overcome this weekend, a solid start. Thank you to all the supporters and helpers and a big thank you to all of the team sponsors. We must also say ‘well done’ to all of the Masters crew for running a great event.